First-class trommel and trommel screens that offer maximum wear life and efficiency. Corrosion Engineering Trommels & Trommel Screens are engineered components, custom-designed for your unique application. Trommel Screens can be designed with our various screen constructions, and incorporate advanced rubber compounds and aperture technology for high wear life and optimized efficiency. An efficient trommel begins with effective, high-capacity screening. Corrosion Engineering trommel screen panels offer exceptional durability, performance, and cost-effectiveness for separating product and oversize. Our trommels and trommel panels optimize the efficiency and availability of the screening operation while reducing damage to downstream equipment. Corrosion Engineering trommels and trommel panels are custom tailored to every individual application to suit the operating conditions and characteristics of the circuit. In addition to designing and fabricating trommel panels to existing trommel frames, we can also custom design and fabricate trommel frames that are rubber-protected for maximized life and with engineered load supports to prevent stresses on the structure. With a variety of proprietary rubber compounds and decades of industry expertise, Corrosion Engineering can fabricate trommels and trommel panels that offer extreme cost-effectiveness with more than 15 times the life of steel trommel panels. 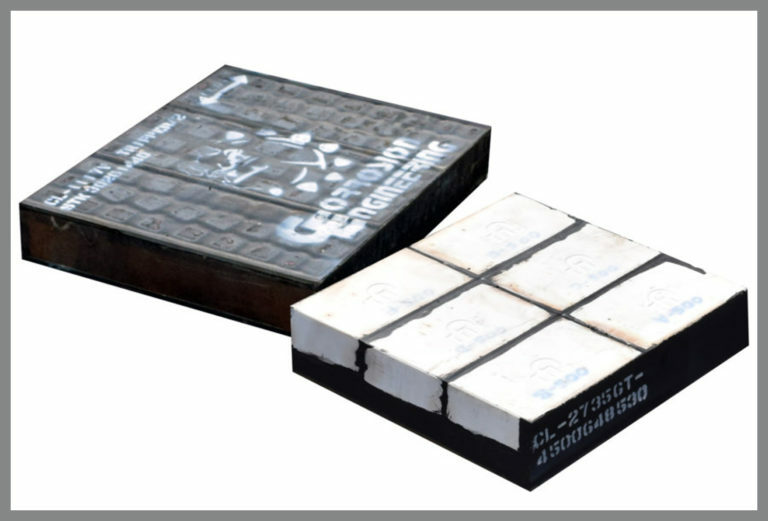 Our application-specific rubber compounds ensure long life with abrasion and tear resistance, performance in chemically aggressive environments, and superior bond strength. In addition to our wide range of apertures, Corrosion Engineering can fit trommel screen panels with our patented Hi-Pro apertures that measurably increase screening capacity. We can engineer our trommel panels with the same technology found in our CorroCable, CorroFlex, and CorroSteel screens. Our trommel screens have molded tapered openings to minimize plugging and blinding, a common problem in punched steel screens. Corrosion Engineering has the ability to create unique two-product and three-product trommel and trommel panel designs for applications where a variety of sizes must be separated as well as the lined chutes and launders to work with them. Corrosion Engineering’s trommels and trommel panels are ideal for ball mills, sag mills, and rotary scrubbers. Corrosion Engineering’s tailor-made scrubbers are armed with advanced lining systems that improve washing processes by providing higher capacity and the ability to resist constant wear. CorroSteel screen panels are custom designed for applications with severe impact, extreme loading conditions or inadequate support for cable screen panels. Users experience a dramatic noise reduction over standard steel screens, and exceptional wear life improvements. CorroFlex screen panels offers the flexibility of a CorroCable screen on flat, bolt-down decks. Our custom manufacturing process allows for unique characteristics of the application to be accounted for in the design.